This vintage bark cloth fabric is fabulous! The background is black with subtle veins of metallic gold. The floral pattern ranges in color from cream to soft pink to a rich rose with additional shades of pale gray and green. 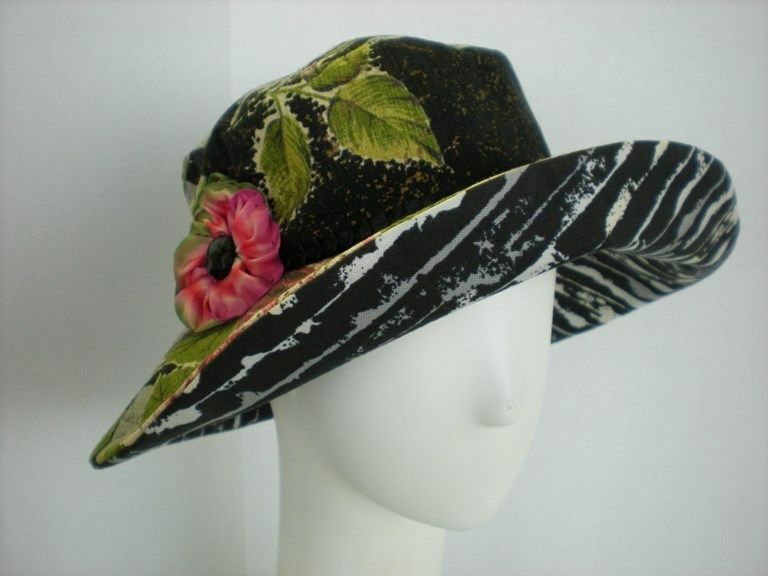 The under brim is a gray, black and cream striped pattern. Black silk band and handmade ribbon pansy trim. This hat can be made in any color or fabric.